The world production of citrus fruit has risen enormously, leaping from forty-five million tons a year to eighty-five million in the last 30 years. Today, the potential applications of their essential oils are growing wider, with nearly 40% of fresh produce processed for industrial purposes. Citrus: The Genus Citrus offers comprehensive coverage on all aspects of the botany, cultivation, processing industry, chemistry and uses of Citrus and its oils. 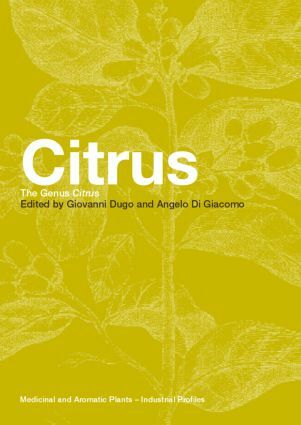 It describes the different citrus species; their environmental, geographical, and historical context; and their chemical composition and properties in detail. Following a chapter on citrus juice technology, the international panel of contributors describe the stages of preparation and processing methods of the juice, from cold extraction and distillation to the use of supercritical fluids, and the chemical reactions involved. The authors also discuss by-products, quality control, world markets, and regulations in the industry, and how analytical methods, such as mass spectrometry and HPLC, are used to characterize the Citrus essential oils. Citrus: The Genus Citrus explores the current and future applications of Citrus oils, which include flavorings for alcohol, soft drinks, food, as well as fragrances for cosmetics and beauty products. Authors also discuss the therapeutic properties of these oils in traditional medicine and modern pharmaceuticals. Anyone involved in food sciences, pharmaceutical sciences, cosmetics, and plant sciences will no doubt find this volume to be of great value and interest.